Dakota Digital is the leader in digital instrumentation for classic cars. 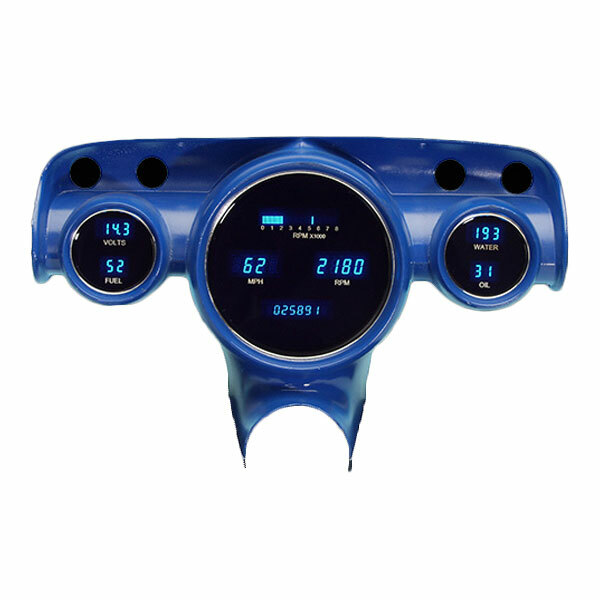 Dakota Digital offers several different instrument cluster configurations for many different vehicles in order to meet the needs and expectations of classic car owners, regardless of the vehicle, budget, or style. Dakota Digital offers four different series of digital gauges for most vehicles, THe RTX, HDX, VHX, VFD. Each series is a little bit different and offers different features and price points to meet the needs of all classic car enthusiasts. The Dakota Digital RTX series digital gauges are designed to look as close to factory as possible while still giving the convenience and style of modern, multi-color, digital gauges. 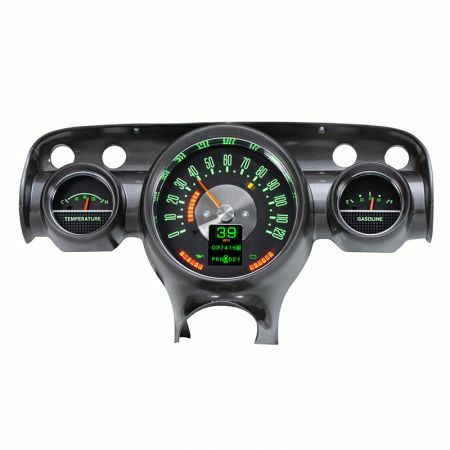 The RTX gauges offer 30 different color combinations and allow you to set the color of the gauge and the needle, independently so that you can find something you like, regardless of your vehicles color or your personal style. 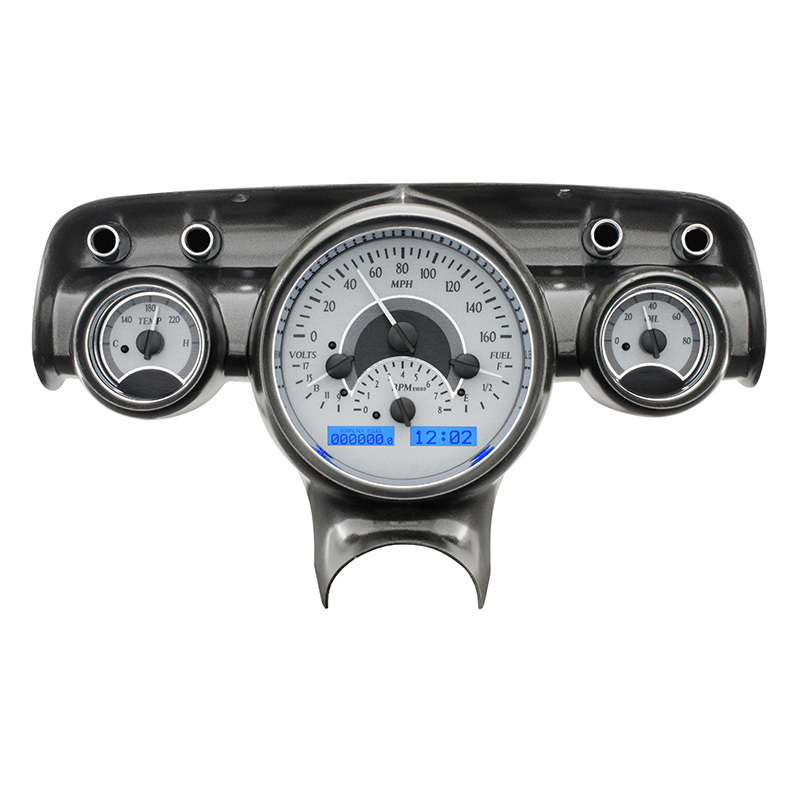 The Dakota Digital HDX series gauges are similar to the RTX series, but they offer a more modern, sleeker appearance that more closely resembles the gauges in newer vehicles today. The HDX series gauges from Dakota Digital come in both black and silver overlays so that you can ensure that the gauges go with the individual style of your vehicle. Like the RTX series, the HDX gauges have a full-color tft display so that you can select the color of the numbers and the needles, independently to match or contrast your vehicle colors. 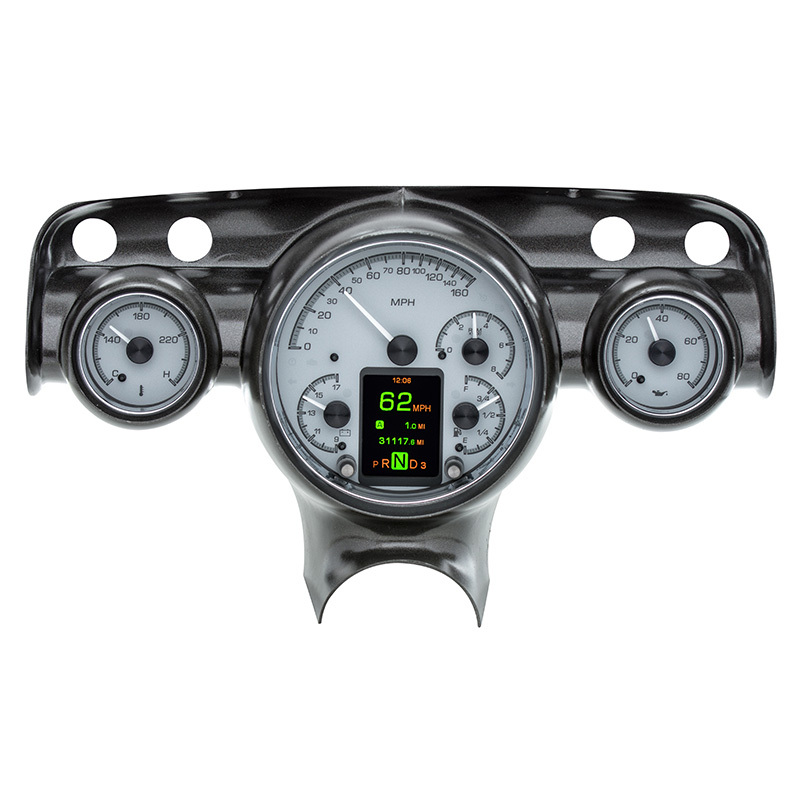 The Dakota Digital VHX series gauges come in a black, silver, or carbon fiber look overlay, and are backlit with your choice of red, blue, or white. The VHX series is a more economical way to get the style and functionality of Dakota Digital gauges at a much lower price point. The faces of the VHX series will look provide you with a classic, period correct looking font that will fit your vehicle, regardless of the year and style. Last but not least, the Dakota Digital VFD gauges provide easy to read, numeric outputs that come in your choice of Blue or Teal numbers. The Dakota Digital VFD series gauges provide, easy, at-a-glance viewing and look sleek when the vehicle is turned-off providing a clean, blacked-out look.